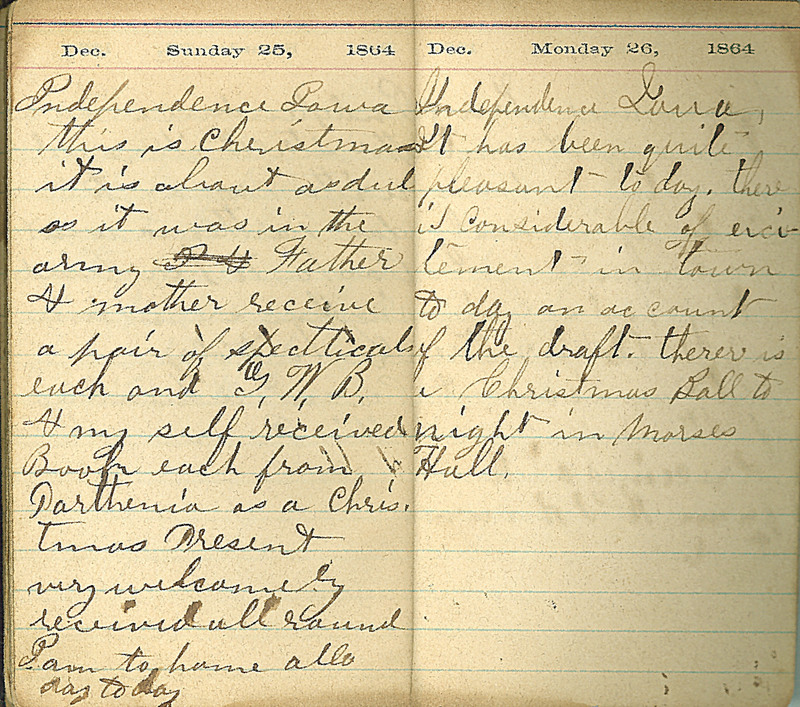 Dec. Sunday 25, 1864 Independence Iowa this is Christmas it is about as dul as it was in the army. Father & mother receive a pair of spectticals each and G.W.B. and my self received Books each from Parthenia as a Christmas Present very welcomely received all round I am to home all day to day Dec. Monday 26, 1864 Independence Iowa It has been quite pleasant to day, there is considerable of excitement in town to day on account of the draft. therer is a Christmas Ball to night in Morses Hall.